When someone retires, the newfound freedom can be quite exciting, but also daunting. The life that someone had has changed, and the life to come is yet to be defined. 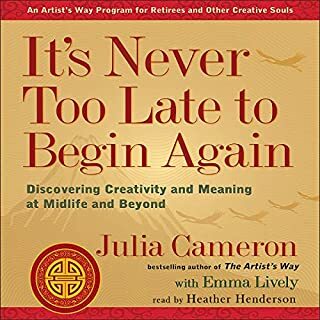 In this book, Julia Cameron tells listeners how cultivating their creative selves can help them navigate this new terrain. She tells the inspiring stories of retirees who discovered new artistic pursuits and passions that more than filled their days - they nurtured their souls. 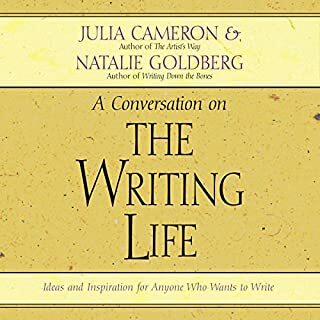 Through their many best-selling books, Natalie Goldberg and Julia Cameron have done nothing less than deepen the way millions of us experience the art and practice of writing and creativity. Now, with The Writing Life, Cameron and Goldberg join forces for the first time in this revealing dialogue that speaks to our common search for an everyday spirituality. Here is a new collector's edition of this modern classic as you have never heard it before, read by Natalie Goldberg herself and then infused with her most personal reflections about this "magic manual" for all writers. Try these ingenious, Zen-based exercises to expand your writing skills - or just for fun. In The Prosperous Heart, Julia Cameron presents a ten-week program for using your creative heart and soul to lead you to prosperity in all the areas of your life. With inspiring new daily tools and strategies, this book guides readers in developing a life that is as full and as satisfying as they ever thought possible. 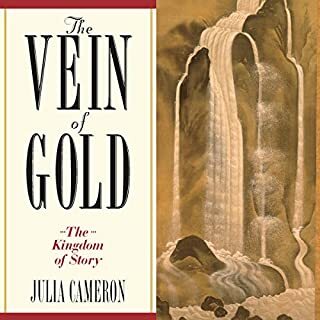 Drawing on her decades of experience working with artists as an expert on the creative process, Cameron shines a clear light on the path to forging a direct relationship between the passion that ignites our creative work and the more practical aspects of living our lives. Everyone is capable of creativity - not just the chosen few. 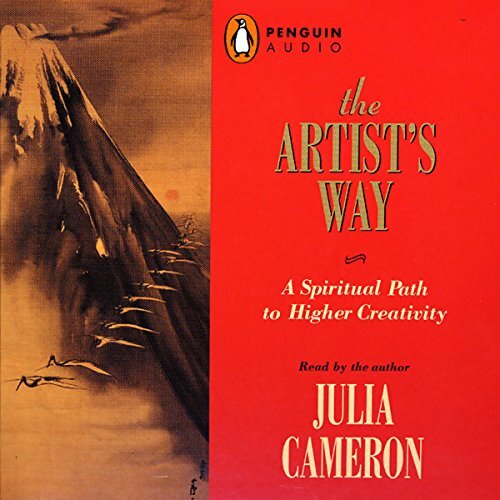 In this inspiring audio program, Julia Cameron offers new insights about her landmark best seller, The Artist's Way, which taught thousands of people to unlock their creative potential. Is someone else's problem your problem? If, like so many others, you've lost sight of your own life in the drama of tending to someone else's, you may be codependent - and you may find yourself in this audiobook - Codependent No More. The healing touchstone of millions, this modern classic by one of America's best-loved and most inspirational authors holds the key to understanding codependency and to unlocking its stultifying hold on your life. 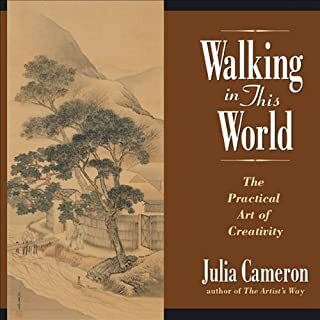 In a new introduction to the book, Julia Cameron reflects upon the impact of The Artist's Way and describes the work she has done during the last decade and the new insights into the creative process that she has gained. Updated and expanded, this anniversary edition reframes The Artist's Way for a new century. I did this program about 20 years ago and it changed my life. I have recommended it to many other artist in search of their creativity. it has also helped those I have recommended it to. I was excited to maybe revisit it when i saw it was available as an audio recording, and to actually listen to Julia tell it from her perspective. It does not work as such. It is divided into 3 chapters that you kind of have to muddle your way through to figure out. Designed as a multi week program but so poorly produced that is has become a disaster as an audio recording. Stick to the printed book. Very heart breaking to listen to as an audio book. Although skeptical at first, I gave the program a try. By the end of the first week I was seeing progress. As I worked my way through the audio program I decided to also get the physical book as a point of reference. I highly recommend this book to clear the cobwebs and focus your creative energies. I love this book. I put it off and got Rick Jarow's Anti-career guide first. MISTAKE! The artist way is not only for writers, artist,etc it can really be used by anyone trying to find what is really inside and what they want from life. I have listened to it over and over and keep finding little things that open different doors each time. Easy to listen to, encouraging, and fun to do practices. Jarow's Anti-career book is boring and hard to listen to. I have tried several times and always find my mind wandering away. It turns into white noise. After listening to The Artist Way, I entered my paintings into a art showing the next week! I would have NEVER done that without this book! Love the book, but not in audio. Read the book, it's better and you can always refer back to it. 1) It is not separated by chapters so I can't easily get to the chapter I'm looking for. 2) It's slightly different than the book. Seems it's a different edition than I have in book form. Otherwise, it was great to be able to download and listen immediately! This audiobook is an abridged version of the book and at the beginning, she states that if you want more information on the exercises, then reference the book. Why would I have bought the audiobook if I have the paper version to reference?? What a waste. If you could sum up The Artist's Way in three words, what would they be? What about Julia Cameron’s performance did you like? She was strait forward and able to get at the heart of what the listener wants to hear. Yes, I heard that we are all artists in some way or another. So many people think they cannot because they do not have a particular medium, but many of us have a creative heart waiting to be used and that is what, I believe, she is talking to. This is a great book. As an artist, it was extremely useful in understanding the resistance I have always experienced and the blocks that prevent me from doing my artwork. 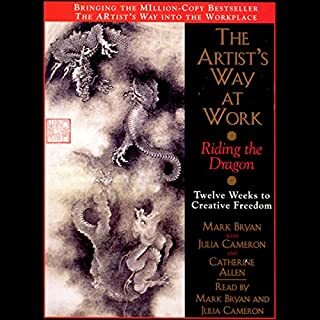 I believe, that because of this book I will finally (after 30 years) be able to move forward to be a practicing artist as opposed to a frustrated artist. I personally had to overlook some phrases like "artist-child", reminding me of the much overused (and now dated) term inner-child. But that's just me, and I looked past that quite easily. The message of this book is too important to be put off by those types of things. I was very happy to find it here on Audible, and I did listen to the whole book- however, this is a book that I think should definitely be read. There are written exercises that are hard to complete when listening to the book. Now that I have listened to it, I will read the actual book now, taking my time to absorb the ideas and do all of the exercises. I did not enjoy the music in between chapters- I rarely do in these audio books. It gives the book a new-agey feel that deters from the content. We all have particular tastes in music- if one doesn't like the music that is chosen, it affects how one receives the book. I think the book should stand alone. If you are looking for a book that will unblock your creativity and increase your spirituality in whatever it is you believe in, The Artists Way is certainly the book for you. It is organized very well and office tasks to unlock your creative mind week by week. 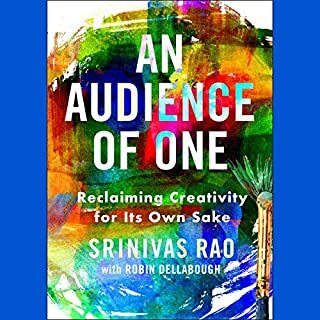 I have found it to be extremely helpful and appropriate for anyone who may not think they are creative or be in that field but actually this book unlocks creativity in any sense of the word. One of the most amazing experiences of my life! I was feeling stuck in my profession as a psychotherapist. This book, with it's deep questioning and excellent excercises has assisted me in getting unstuck and feel excited again. I'm telling everyone I know about this work. I highly recommend it!